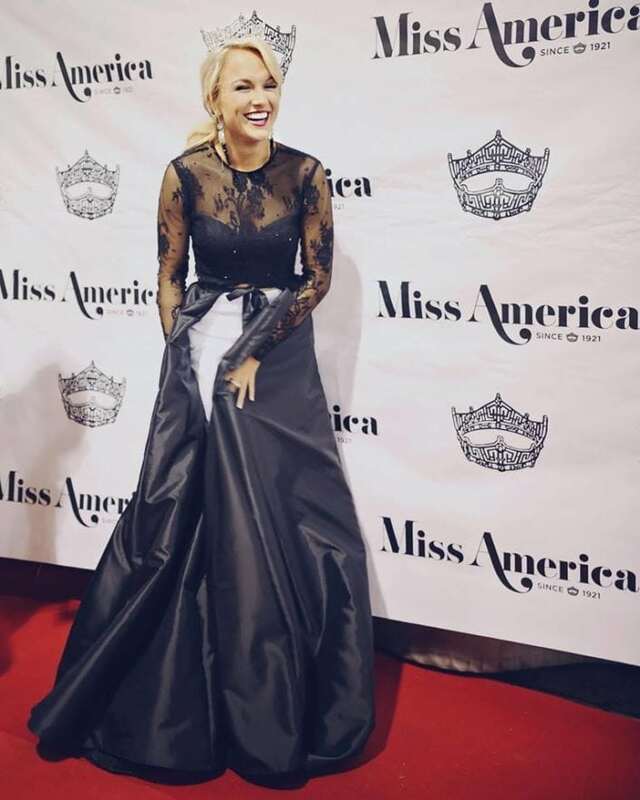 It was almost exactly one year ago that I had my Miss America Homecoming, which was one the craziest most love filled weekends of my entire life. 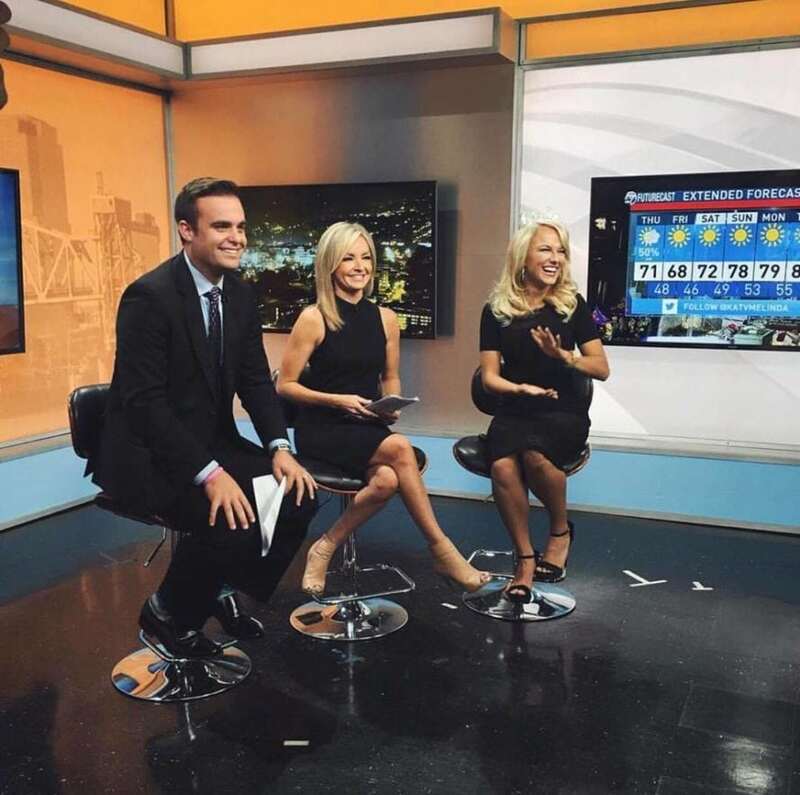 First things first, we stopped by some of the Little Rock TV stations to announce all of the events that would be soon known as the Homecoming Extravaganza. Always good to see old friends. 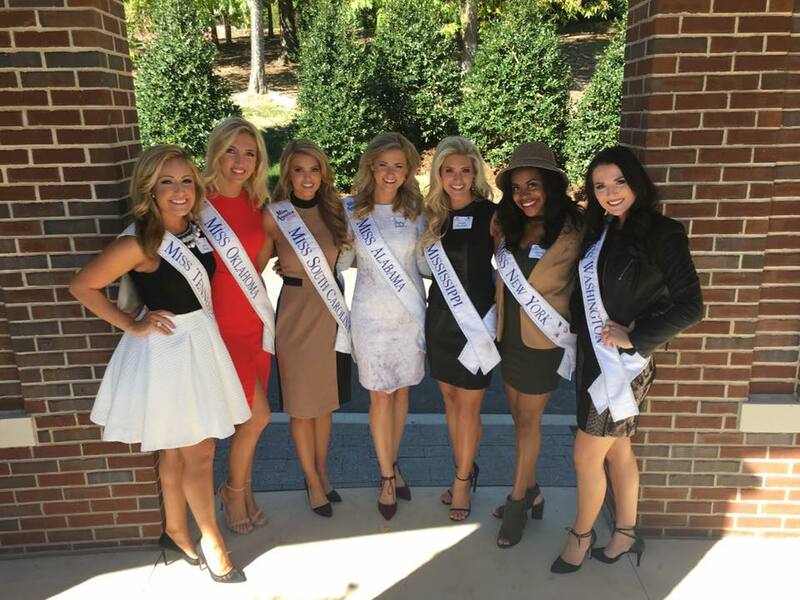 Before heading off to the first event of the day, I was able to take part in a group photo with my forever Miss Arkansas sisters. 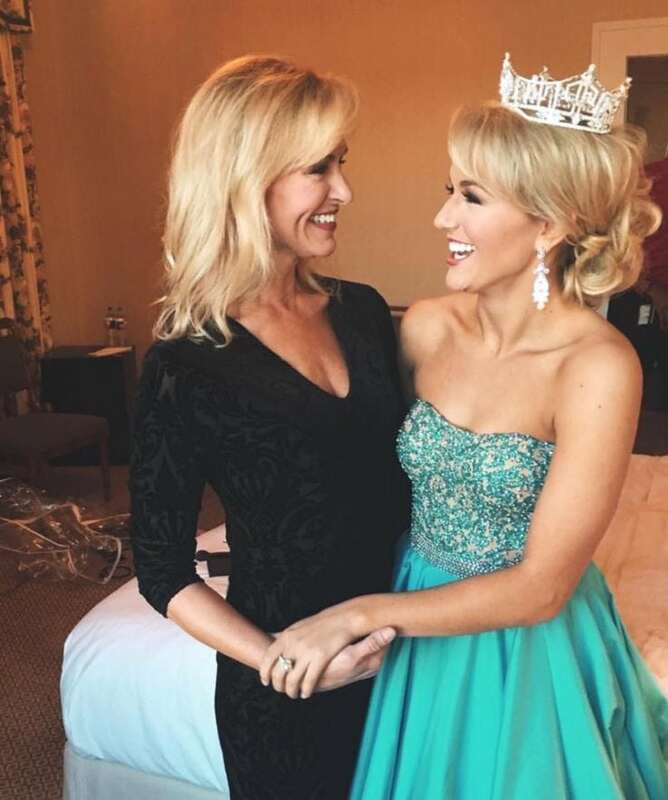 I have looked up to these women my whole life, and will never be able to thank them enough for the example they set and the overwhelming amount of love they gave me during my time as Miss Arkansas, and my year as Miss America. 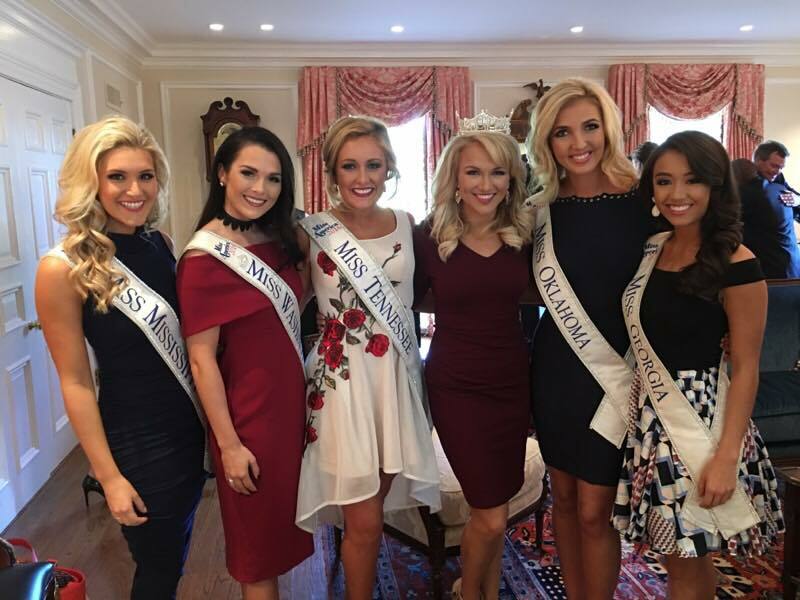 On the first day of the Homecoming, the wonderful Sharon and Johnny Bale hosted a luncheon at their home where I was reunited with some of my favorite pageant people. 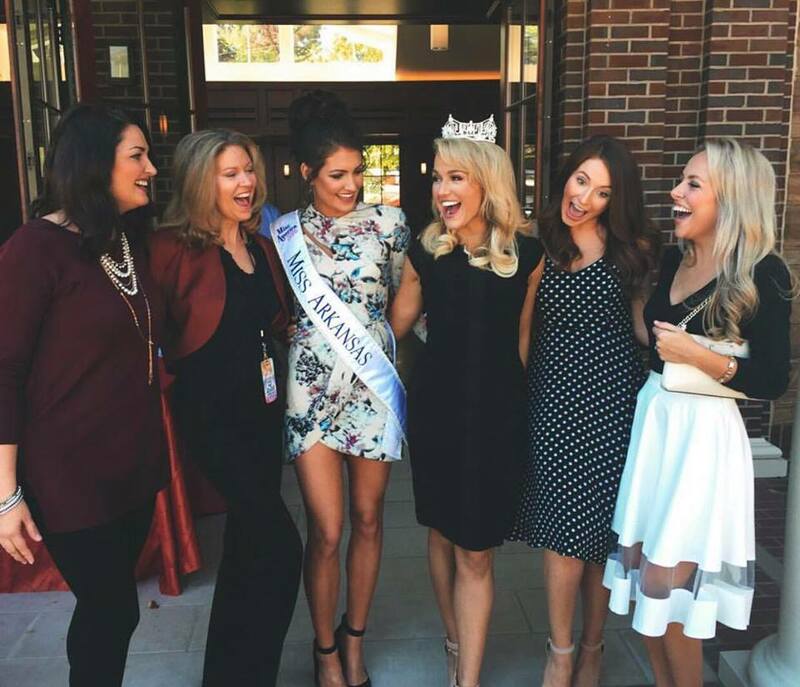 One of my favorite parts of the Miss America Organization is the friendships I have made. 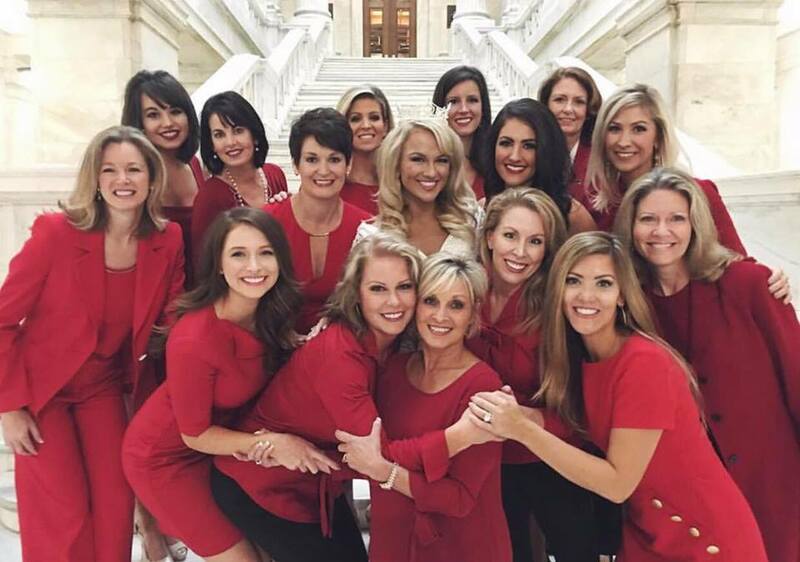 Pictured above are some of the women I met during the Miss Arkansas Pageant. Getting to see them again brought so many tears and emotions to my eyes, and I can’t begin to tell you how many texts and words of encouragement they have sent me this year. 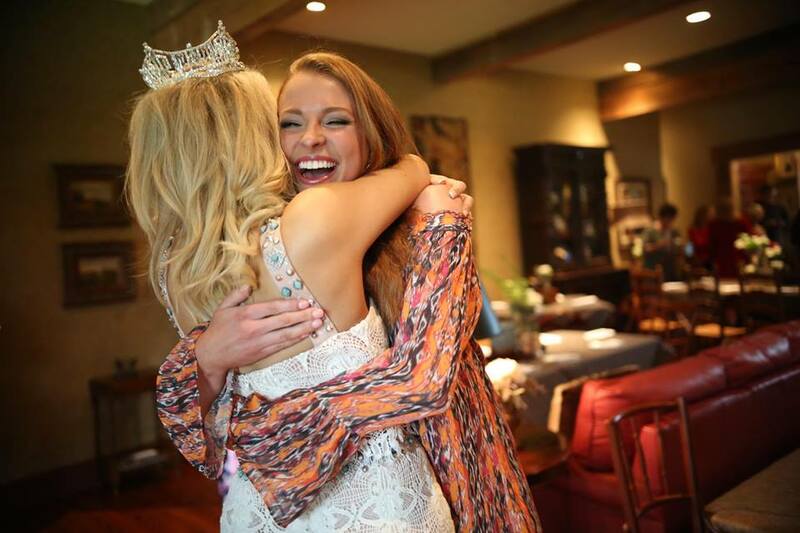 One of the sweetest memories I have from my Homecoming was finally getting to embrace my forever Miss America, Donna Axum, who was the first Miss Arkansas to bring home the Miss America Crown. Forever grateful that my talented friend, Courtney Halligan, was able to document the weekend, and this moment in particular. At the Bale’s home, Donna pulled me aside and gave me a few gifts. 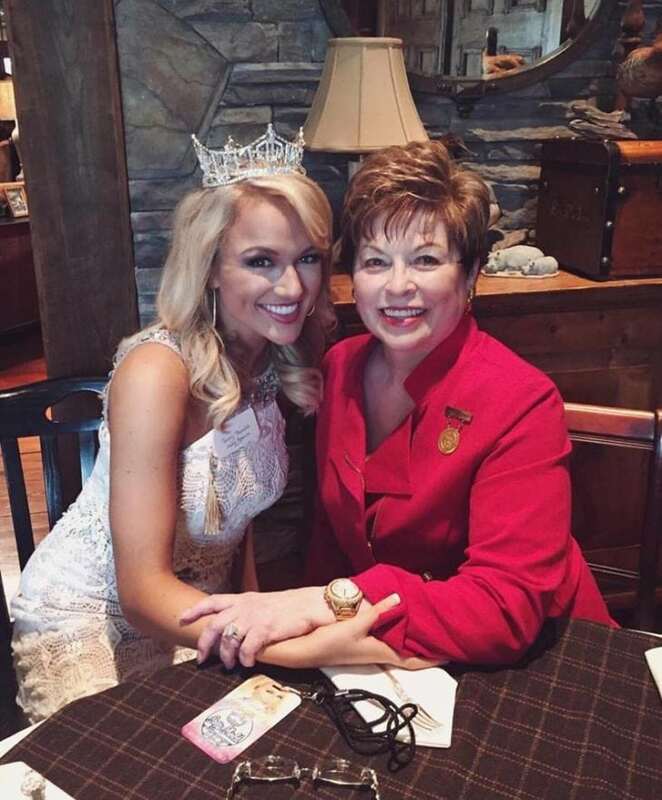 She gave me advice on what it meant to be Miss America, and handed me her Miss America ring, watch, and pin she wore during her year. To say I was emotional is an understatement. 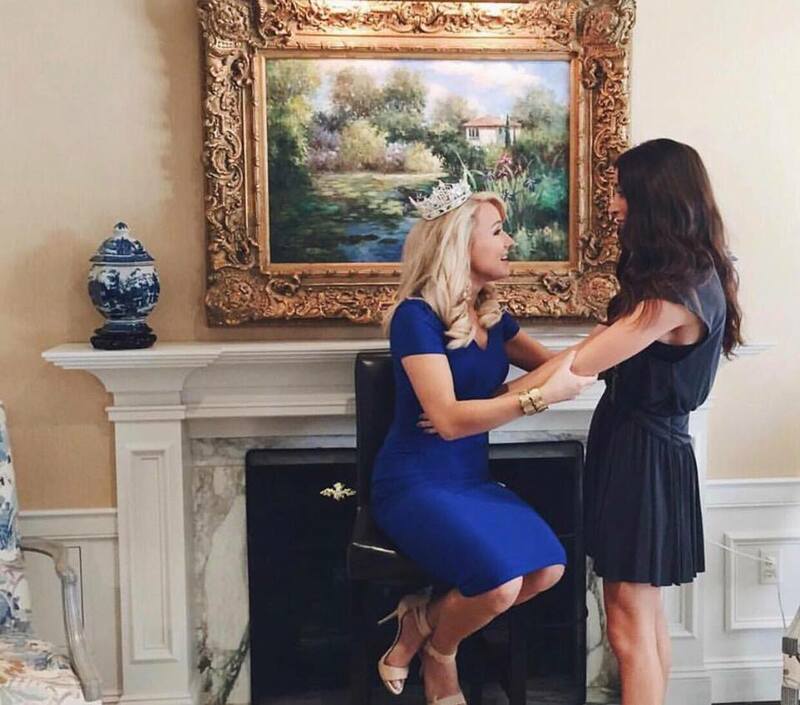 Loved getting to hug my Miss Texas, Caroline Carothers. 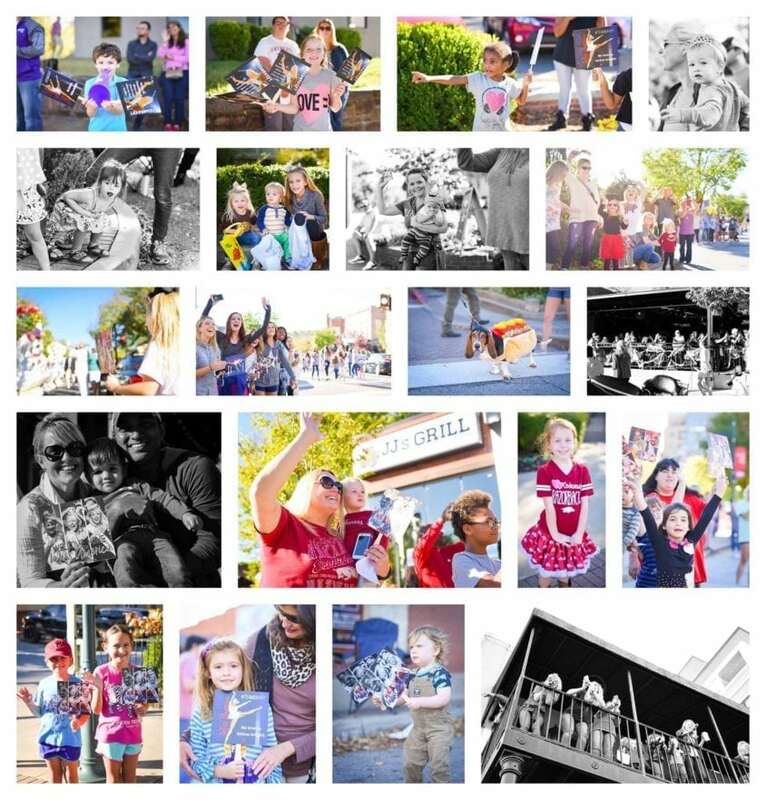 Again, the biggest thank you to Courtney Halligan for capturing these sweet reunions. Another sweet moment spent with the inspiring Sharon Bale. 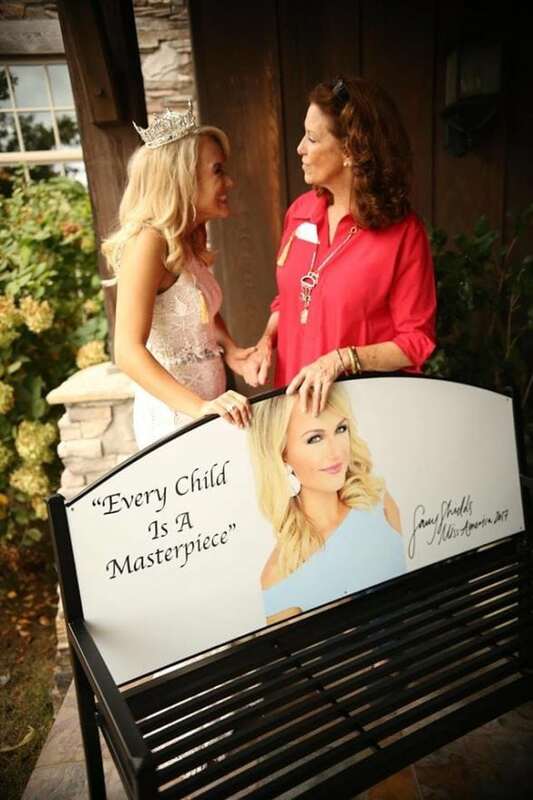 A talented artist in Little Rock created this bench that was presented to me during this weekend. It now resides outside the Ronald McDonald House next to the Children’s Miracle Network Hospital in Little Rock. Praying that it takes part in lots of smiles and hugs to come. Two of my favorite humans. 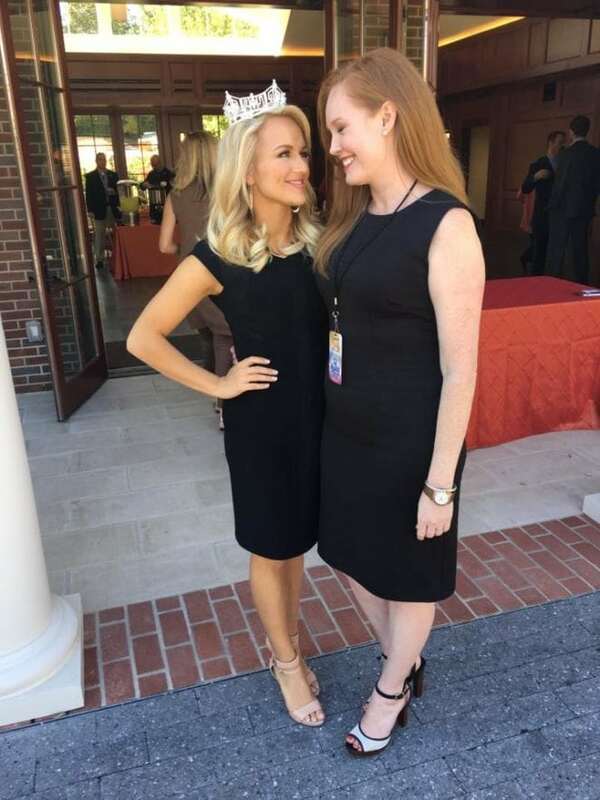 Miss Tennessee 2016 Grace Burgess, and Miss Oklahoma 2016 Sarah Klein. I am forever grateful for these two. 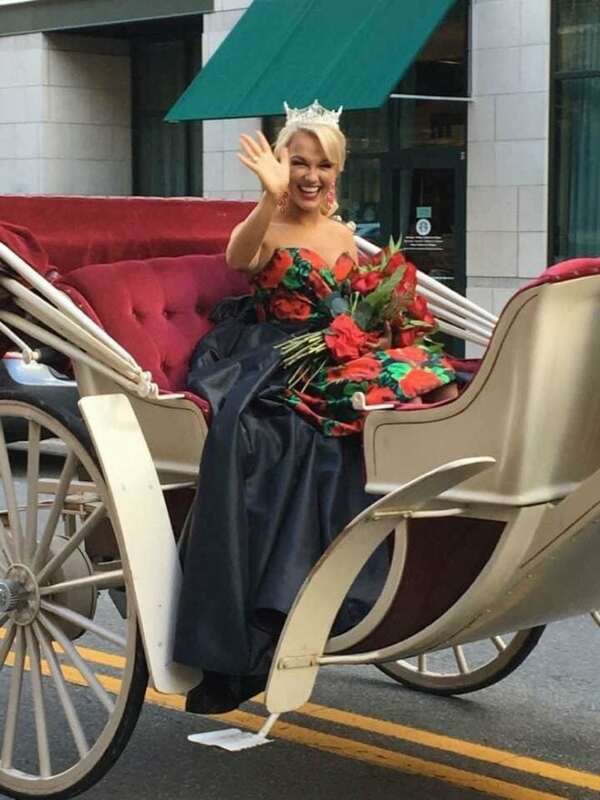 The afternoon of ‘Day One’ held more reunions and a parade that went through downtown Little Rock. 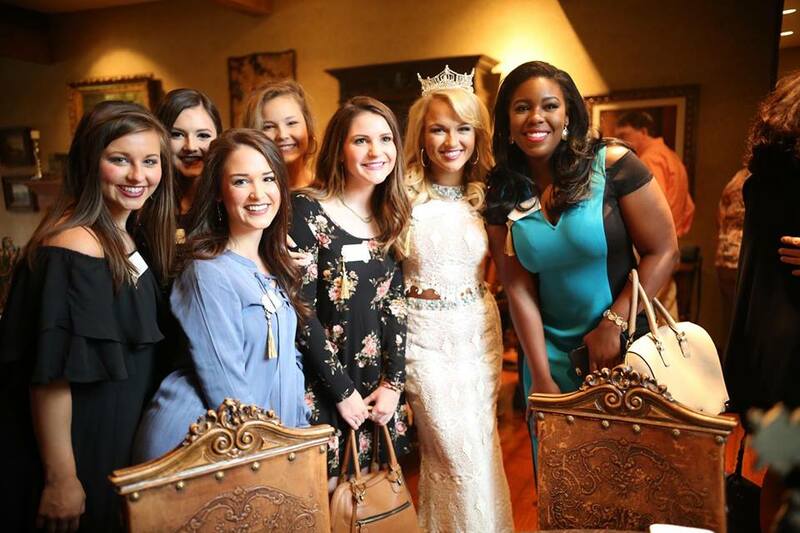 The biggest thank you to Buffie’s All the Rage in Little Rock for dressing me the entire weekend. 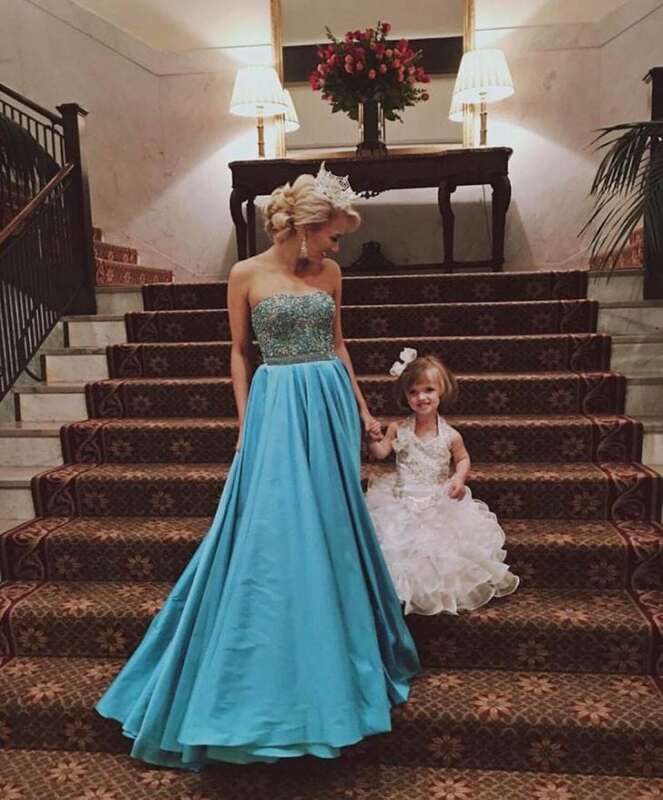 I LOVED this cherry Sherri Hill – one of my fav looks of the year. 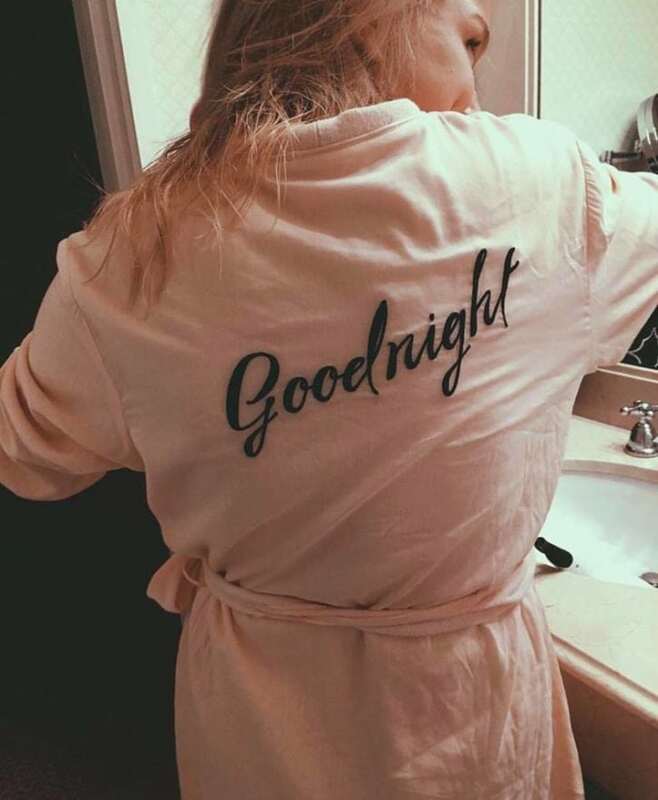 This night was filled with excitement. 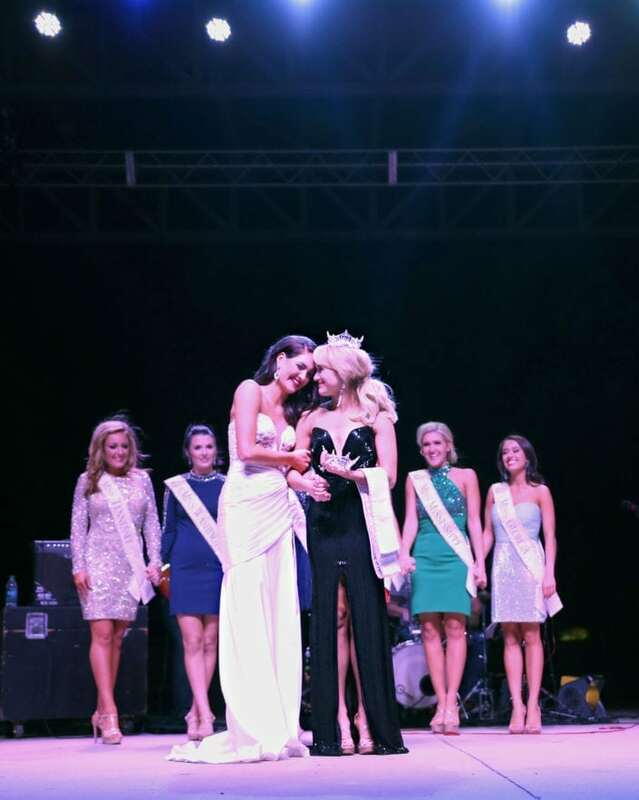 Each of the unbelievably talented state titleholders that came performed their talents, and we had a special “crowning moment” for Miss Arkansas 2016, Savannah Skidmore. 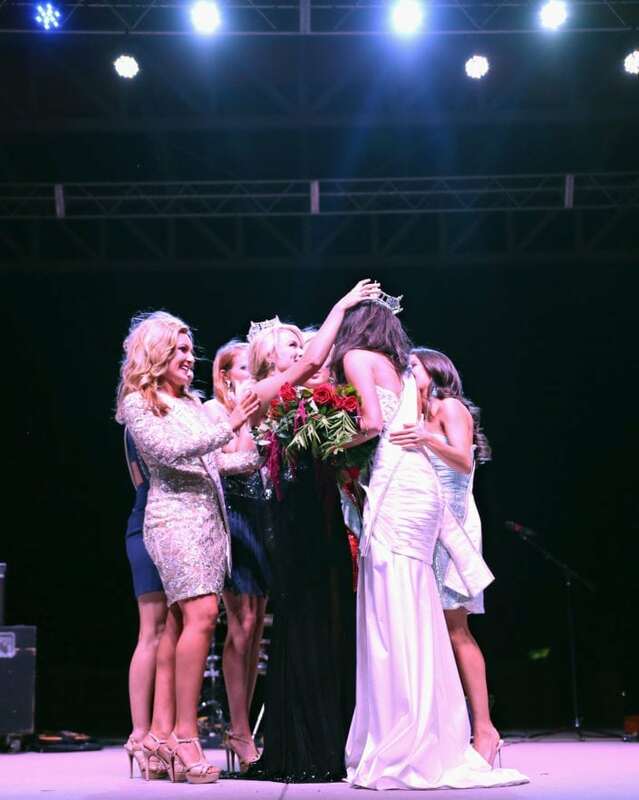 Loved getting to share this moment with my pageant sisters. At a meet and greet spent with the people of Little Rock, it was an amazing and fun filled first day. 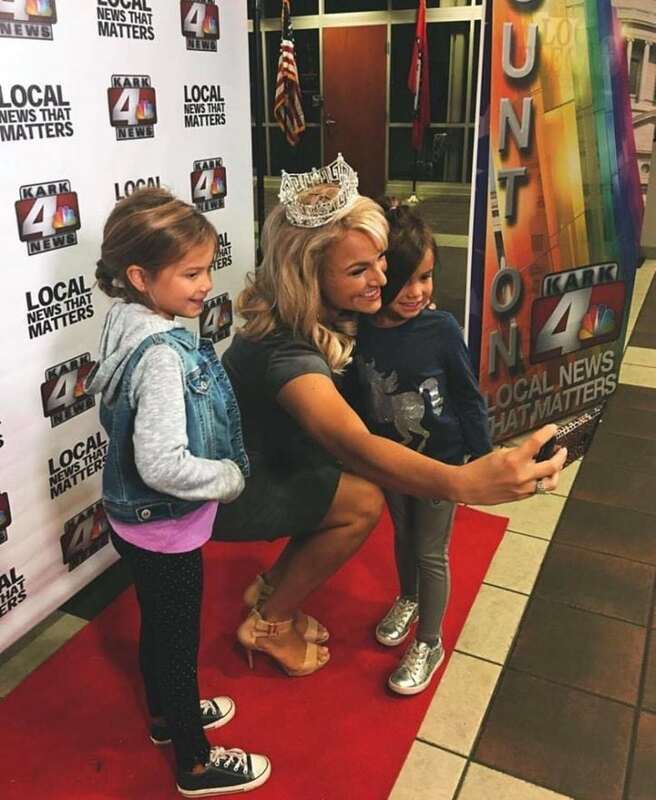 For each “selfie” everyone had to bring a gift for the kids at the Children’s Miracle Network Hospital in Little Rock, which we brought to the Hospital later that day! Biggest thank you to KARK for their love and support. Such a special honor to be acknowledged on the Senate and House floor. More Media for Day 2. 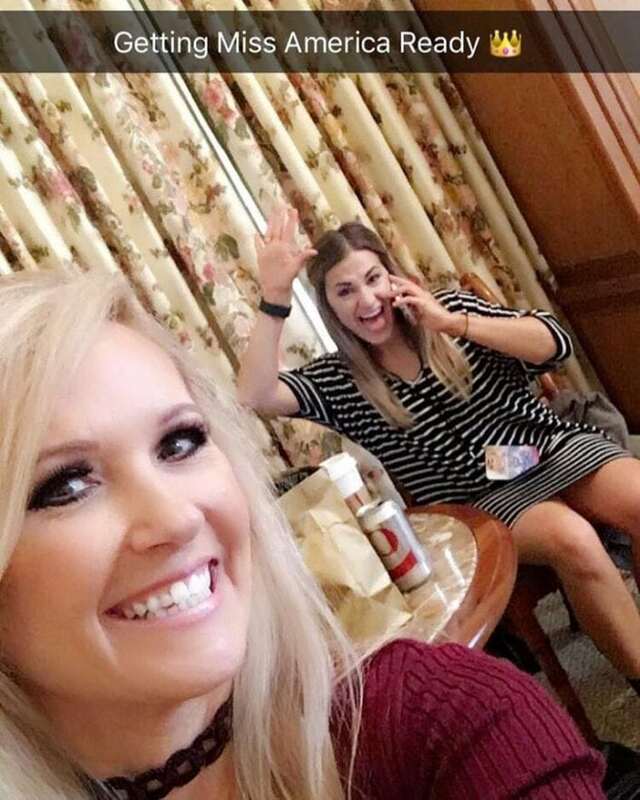 Two humans who did so much work behind the scenes. Buffie Mayo and Courtney Halligan were there at all times during the Homecoming. They brought me food at random hours, made me smile and laugh, and went above and beyond. Love these two so much. 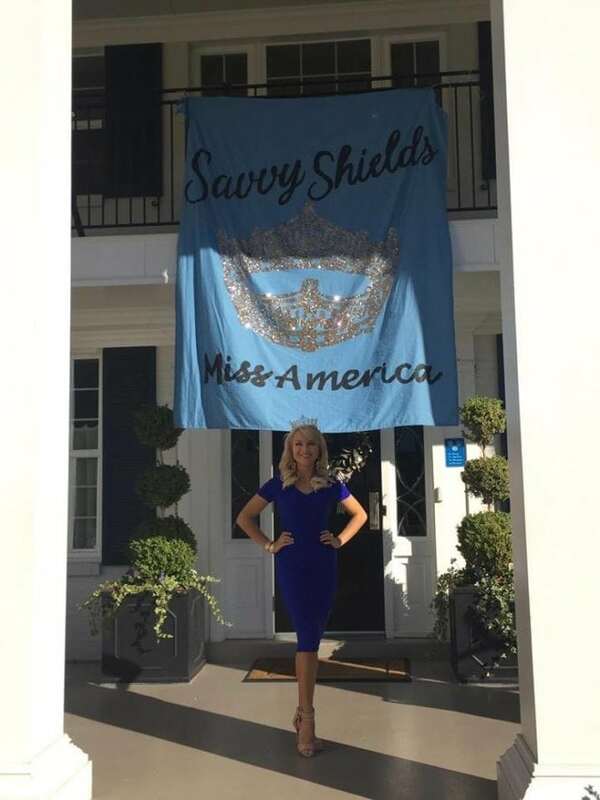 After an already amazing morning, we headed to a luncheon at the Governors Mansion, which quickly became one of the coolest experiences I’ve ever had. From the unbelievable food, decorations, and desert that literally flew down the stairs, I was in constant awe. 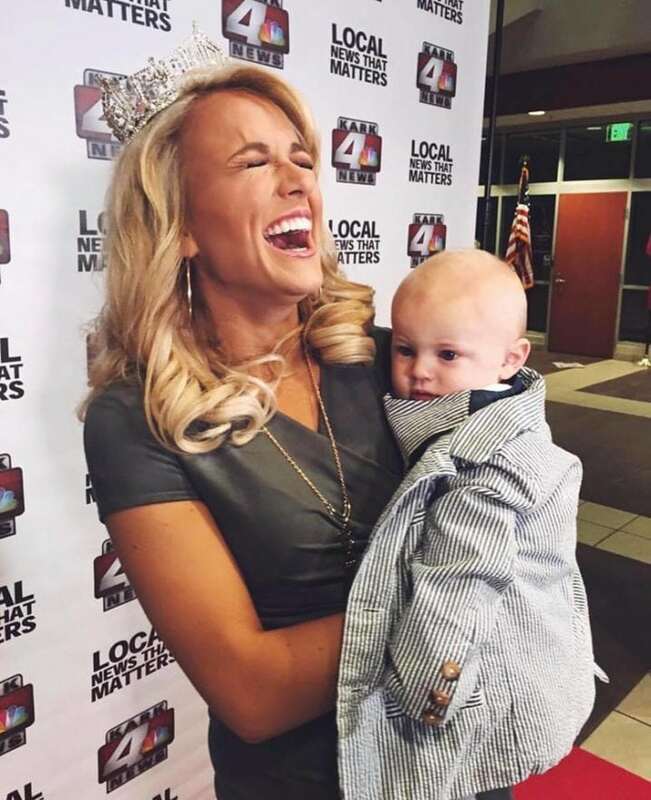 I can still use this Forever Miss Arkansas photo as my Christmas Card, right? 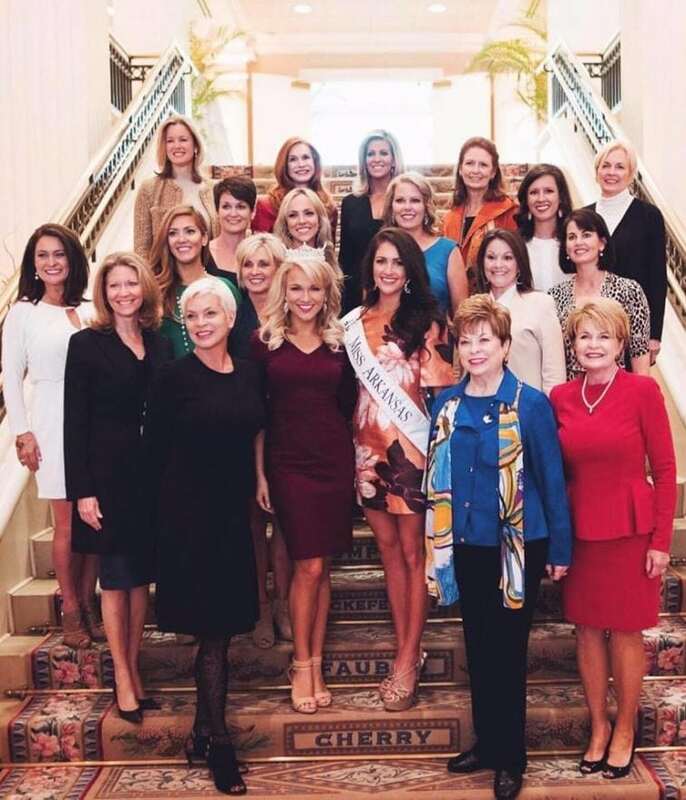 So honored to spend time with Arkansas’s other two Miss Americas, Donna Axum, Miss America 1964, and Elizabeth Ward, Miss America 1982. My sweet mom. 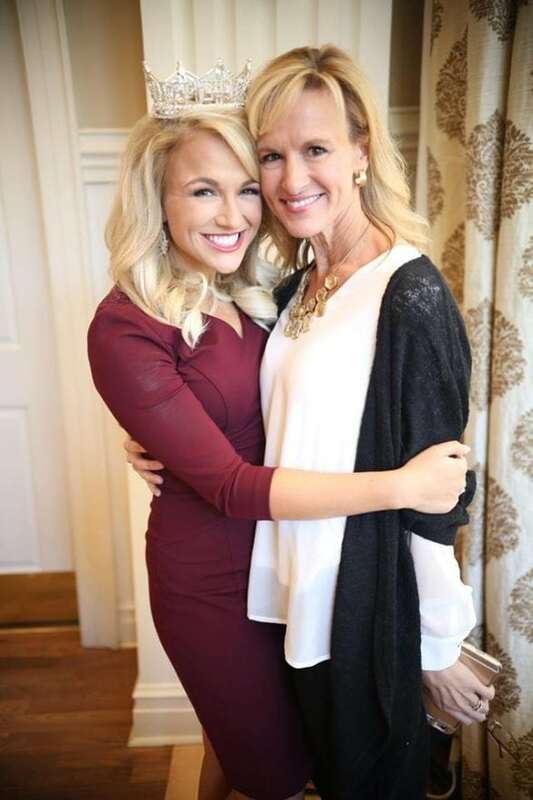 This weekend was amazing for so many reasons, but getting to have my mom see me in action was beyond special. 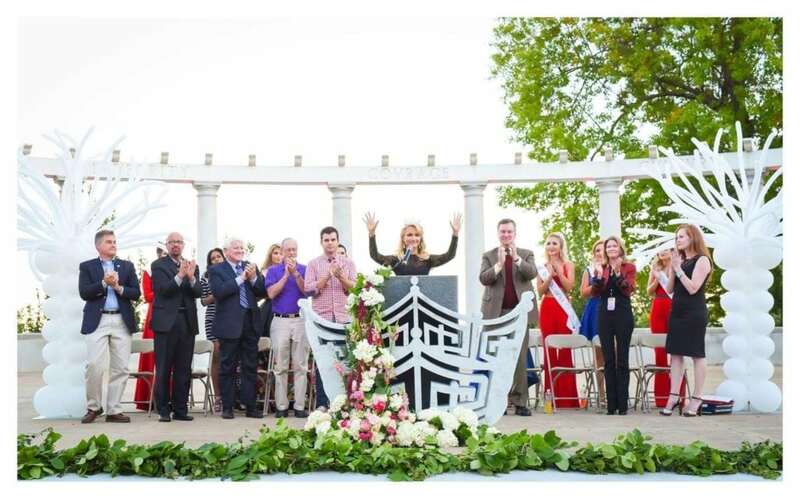 I am so thankful I was able to share many special events over this past year with our first lady of Arkansas, Susan Hutchinson. 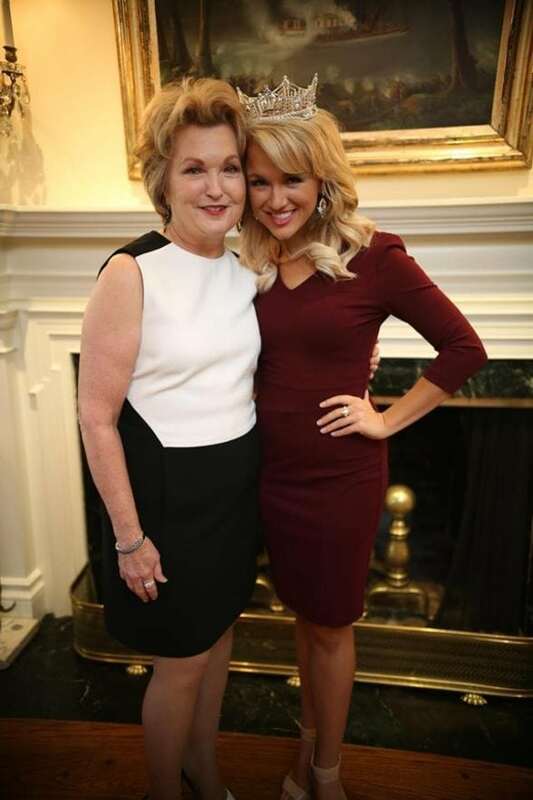 I have always admired her passion for the people of Arkansas and can’t thank her, or Governor Hutchinson, enough for their support. 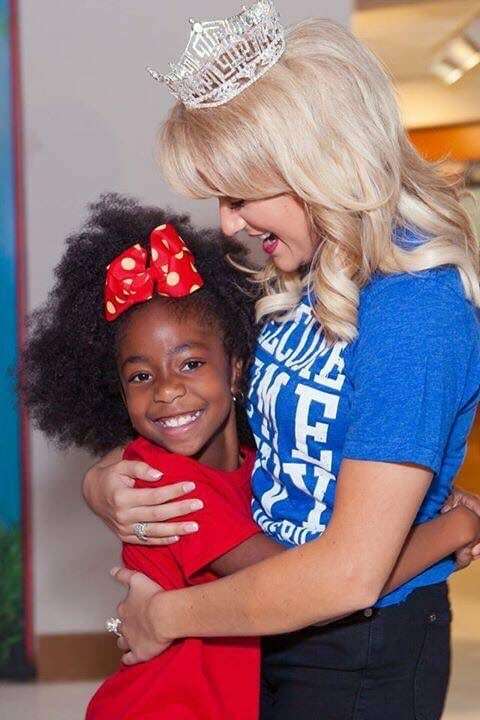 After the luncheon we went to the Children’s Miracle Network Hospital in Little Rock to hang out with the miracle children and bring gifts from “Selfies With Savvy”. 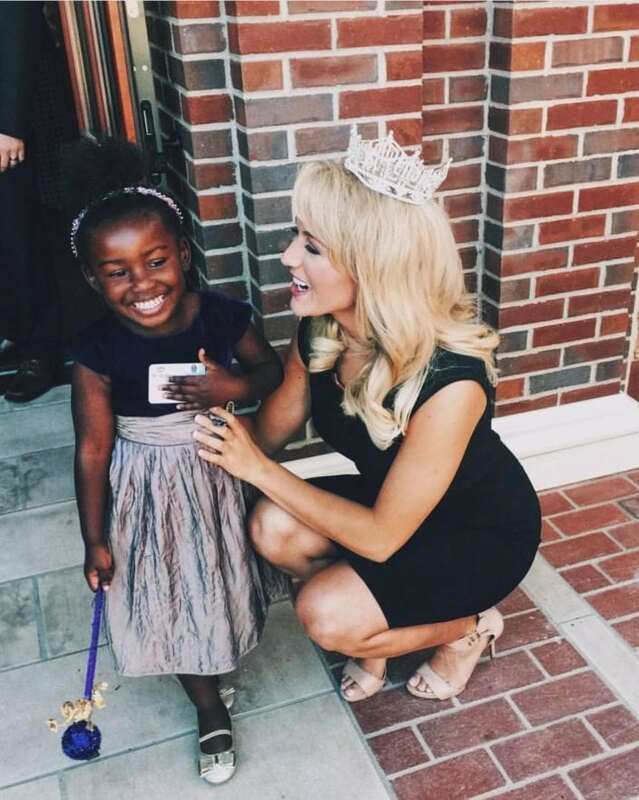 Being the National Goodwill Ambassador for CMN Hospitals was one of the greatest parts of my year. 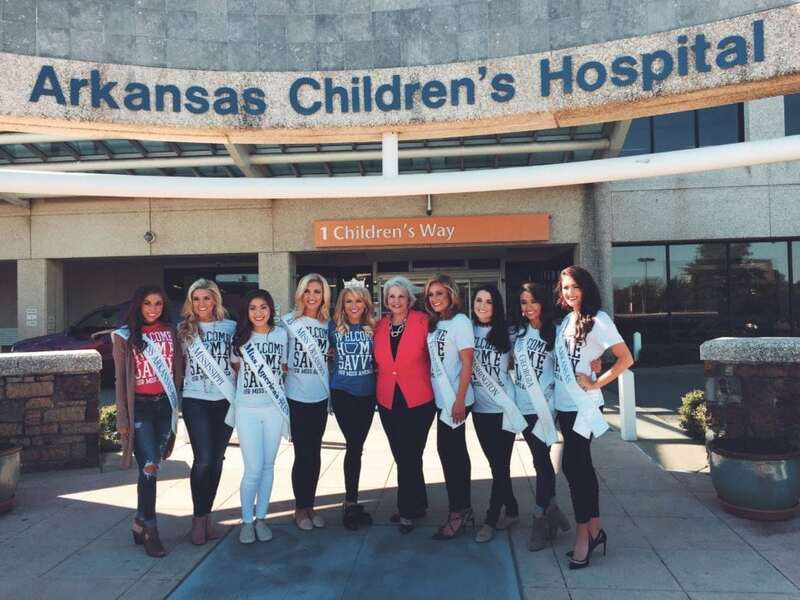 Thank you to Arkansas Children’s, Jane Slocum, and Kattie Hansen for including CMN Hospitals in my Homecoming weekend. 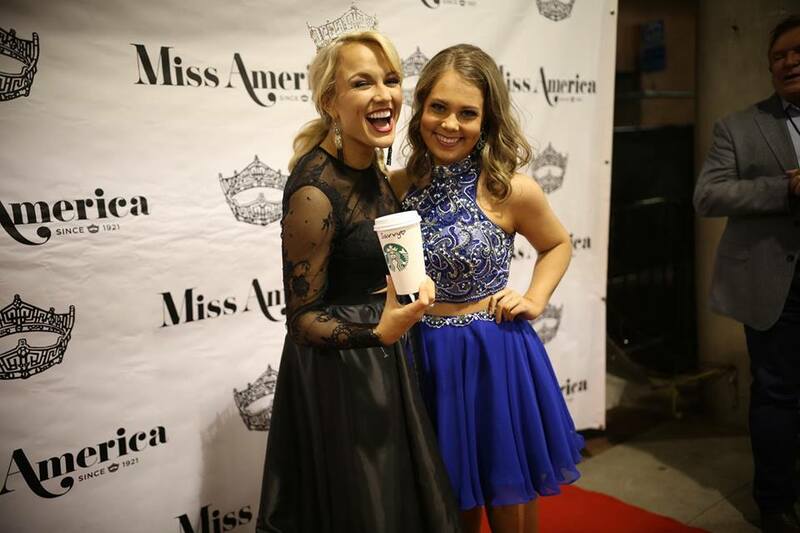 Our last night in Little Rock was the Miss America Gala. Looking back through these pictures now, all I can do is smile. 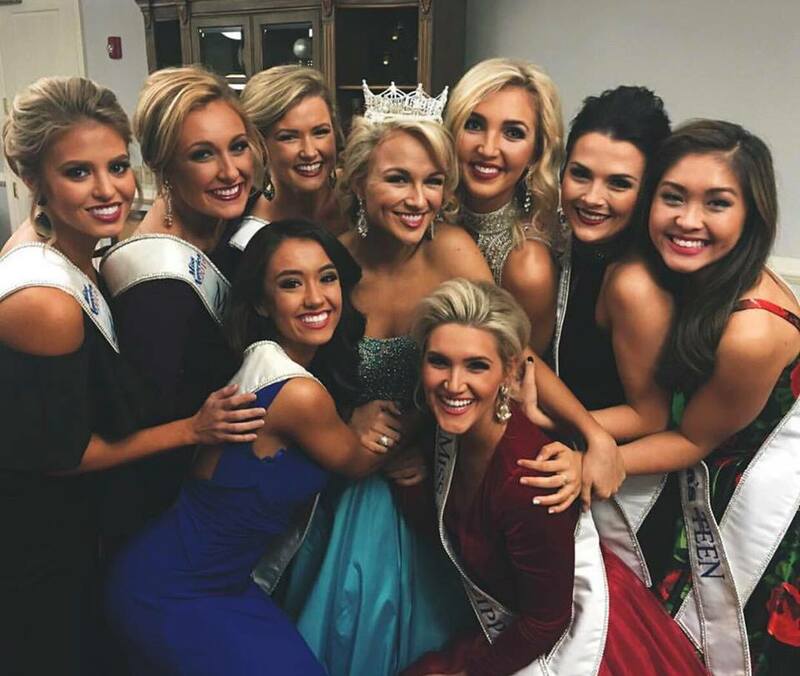 At the Gala I was able to hug all of the people that helped me on my Miss America journey. 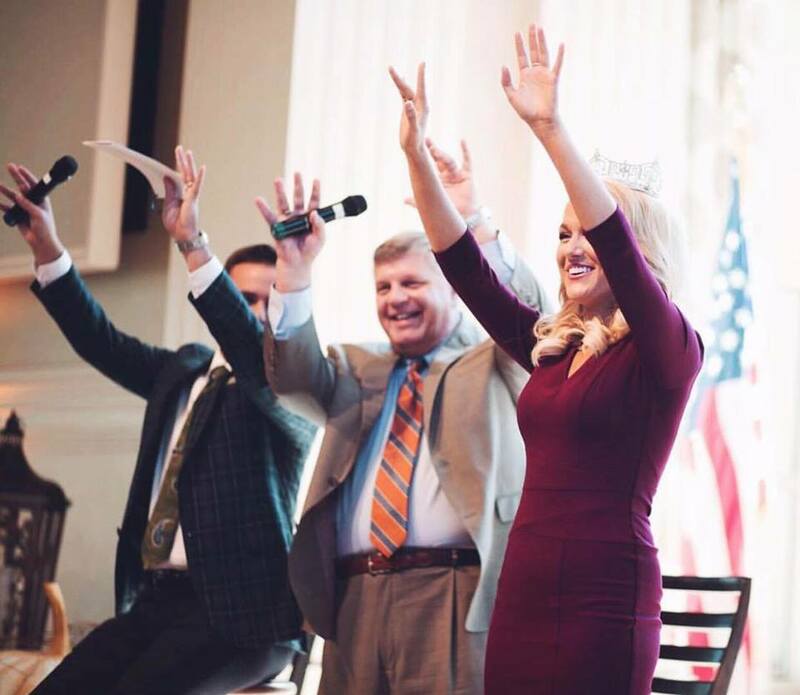 To the Miss Arkansas Board, all of the volunteers and supporters, everyone who sent me letters during my time at Miss America, every person who donated your time, services, and emotions, thank you. A thousand times thank you. Not just for the unbelievable Homecoming extravaganza, but for every day before and after. 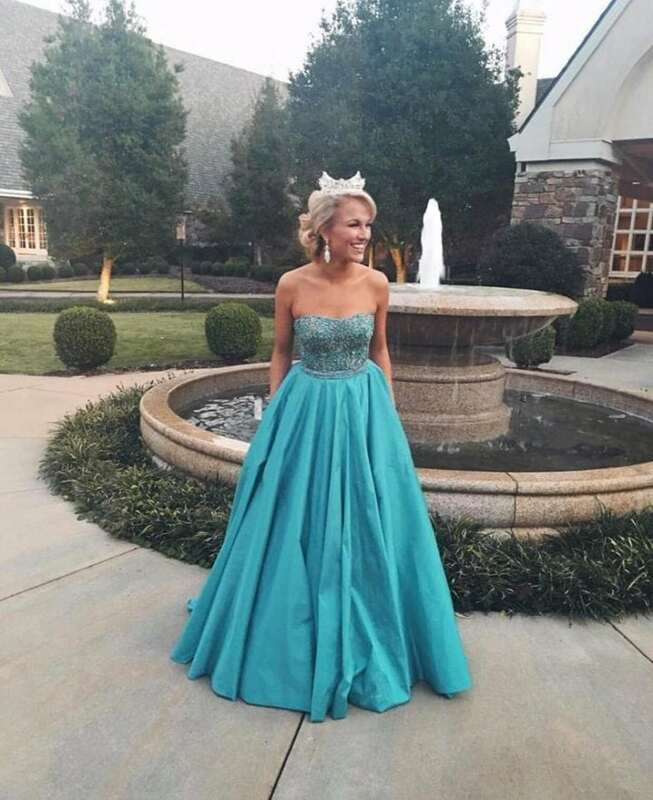 This amazing Sherri Hill dress from the wonderful Buffie’s All The Rage. There can never be enough ‘shout outs’ to KarBear. Thank you for helping me live my dream. Can’t thank these girls enough for their overwhelming support. Not just during this weekend, but for the love they continue to give me everyday. Woke up with another wave of adrenaline because we were going to Fayetteville!! There needs to be more than just one appreciation post for this woman right here. Ever since I first met Kattie seven years ago, she has been selfless and invested in my life. 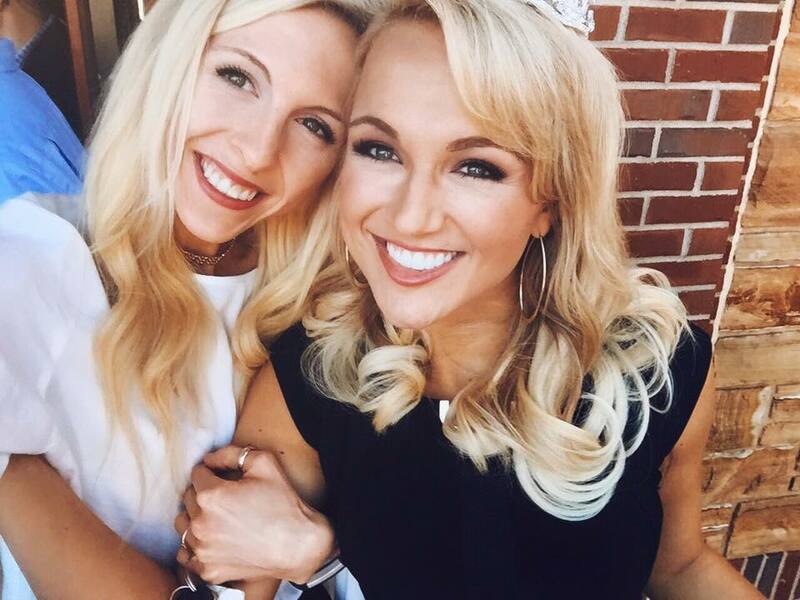 My homecoming weekend would not have been what it was if it wasn’t for Kattie’s planning, vision, leadership, and love. Thank you for being my big sister and so much more. I love you forever. 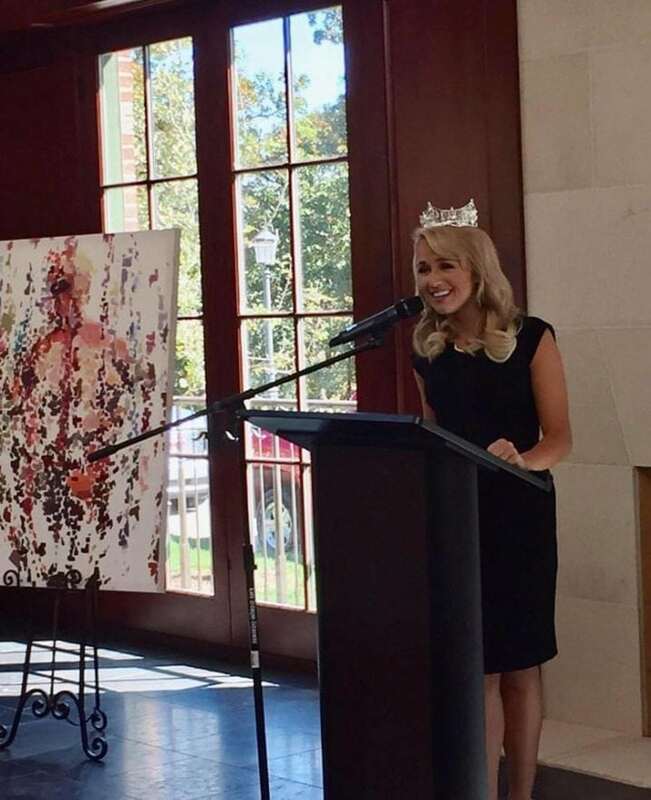 The first event held in my hometown of Fayetteville was at the Chancellor’s House near the Univeristy of Arkansas campus. I felt so honored to be surrounded by not only my artwork, but also the people I love. 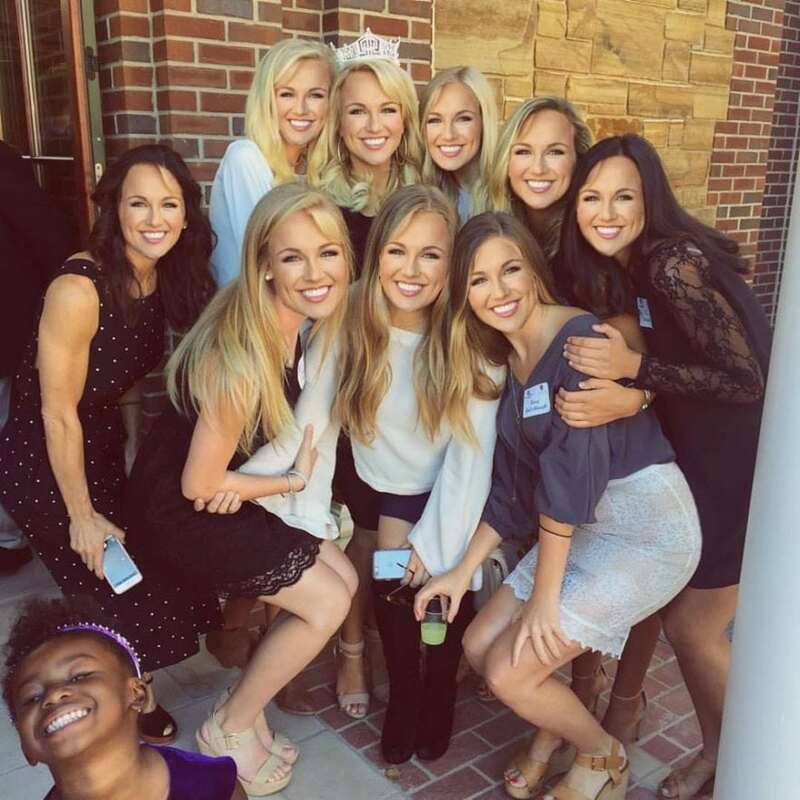 There has to be at least one fake laughing pic. Ladies and gentlemen, Brother America. Taking a moment to thank these humans. 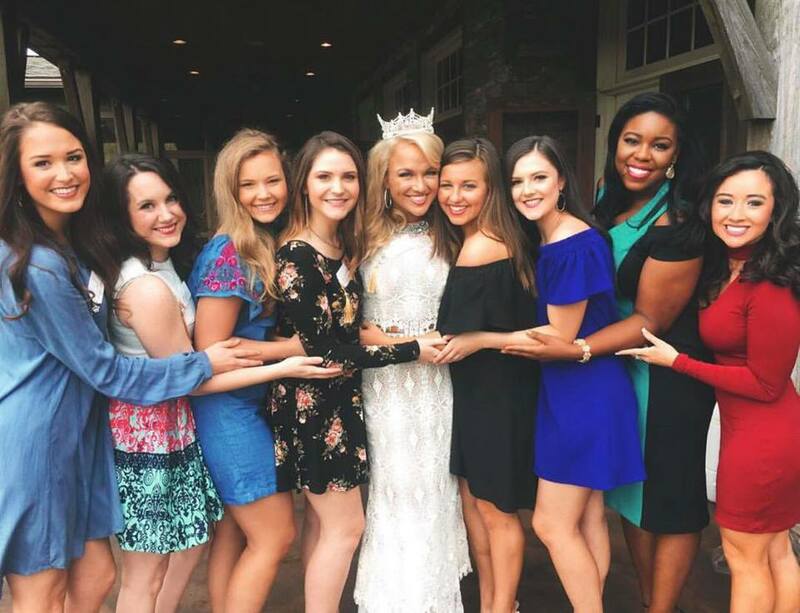 I have been friends with these beautiful souls since the 5th grade, and I would not be the Savvy I am today without their friendship, and I wouldn’t have been the Miss America I was without their hilarious sign making and cheering screams at every pageant. 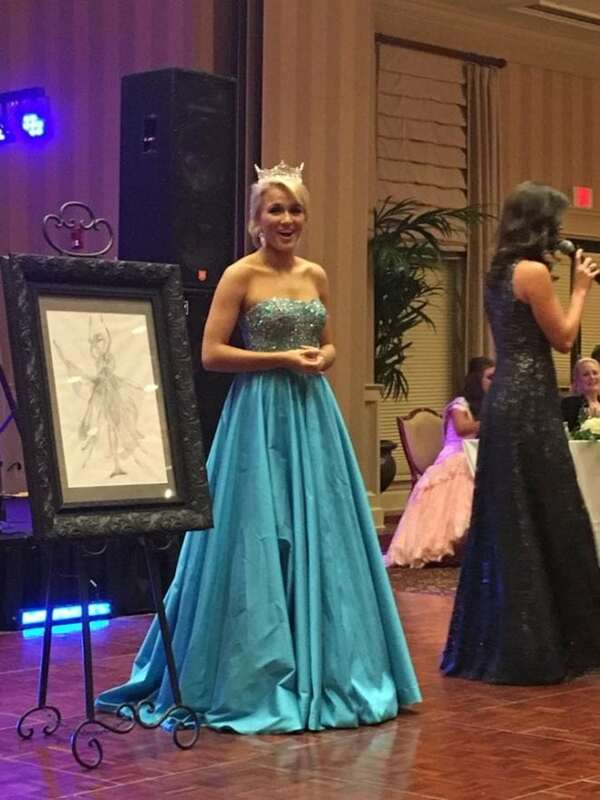 I had to share this picture my friend Macy made because…..
My local director, Robyn Ledbetter, was my director when I became MAROT’09 and Miss Arkansas. It was because of her mentorship that I fell in love with this program, and because of her guidance I became the human I am today. 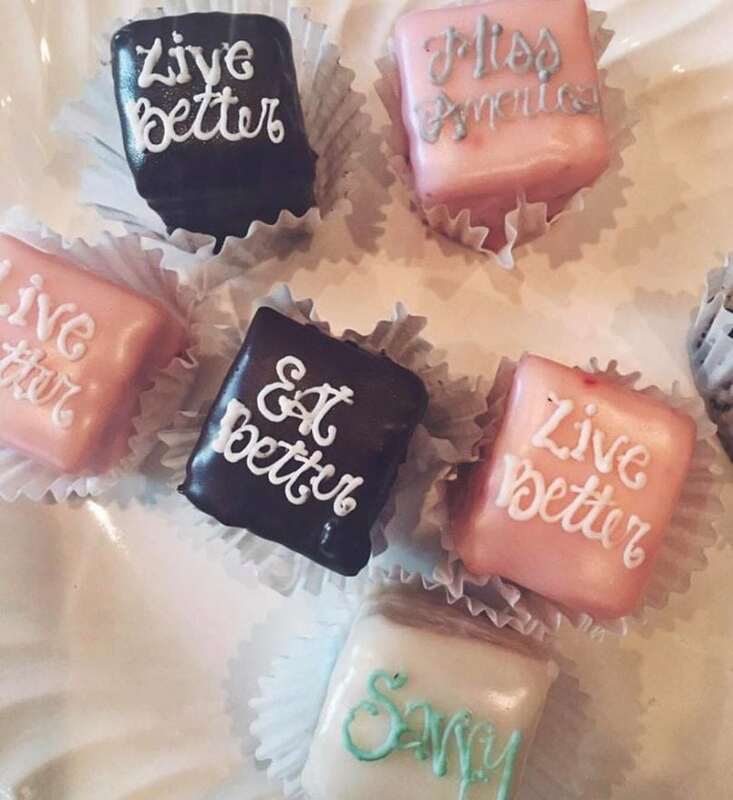 Thank you so much to Rick’s Bakery for making these perfect #savvychoices. 🙂 They were so delicious. To the greatest boyfriend in pageant history, a million times thank you. Y’all. 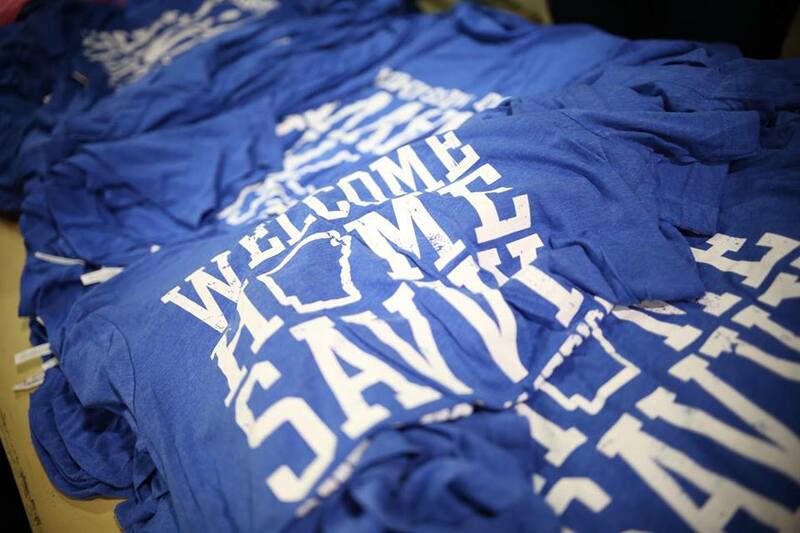 I still wear my Homecoming shirts all the time. B-Unlimited knocked it out of the park. 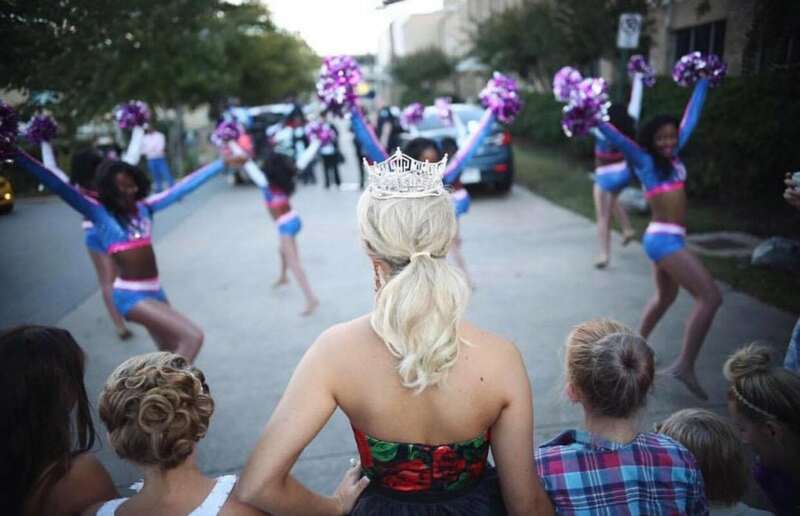 I’m sharing way too many pictures from the parade because this moment will forever be engrained in my mind. The float was unbelievable. All of the teams, schools, bands, and dance groups were amazing. 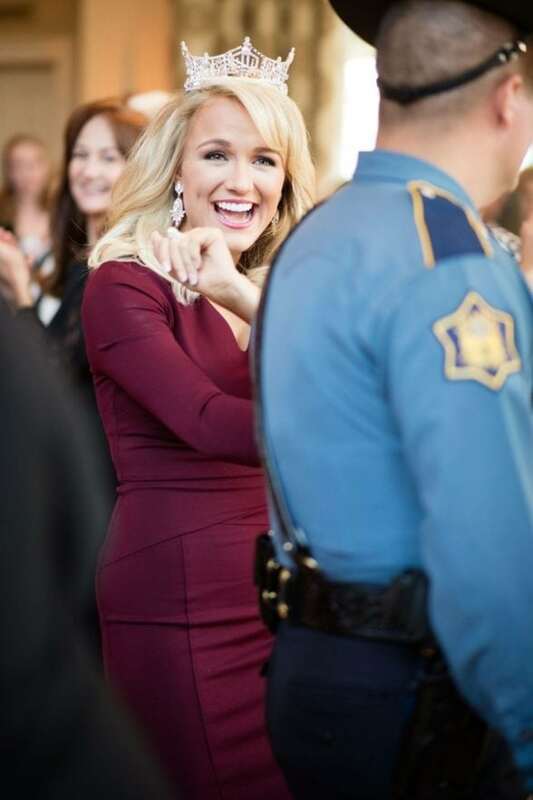 The amount of love I felt was overwhelming, and the fact that “There She Is, Miss America” was playing over the loud speakers on repeat was icing on the already iced cake. I wanted (and still want) to keep this float for the rest of my life. 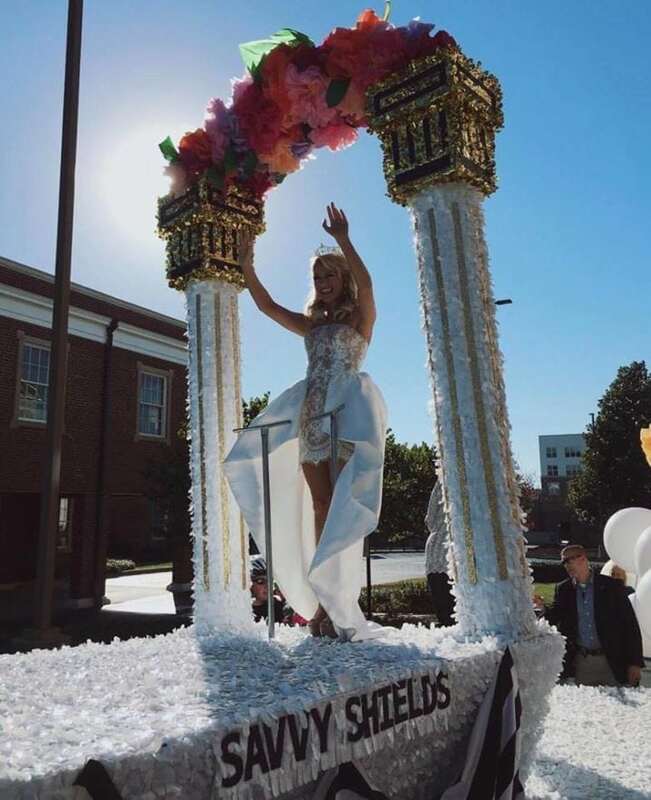 Thank you Megan Boeving for going above and beyond to find this float, and my Gamma Nu KKG sisters for sponsoring it! 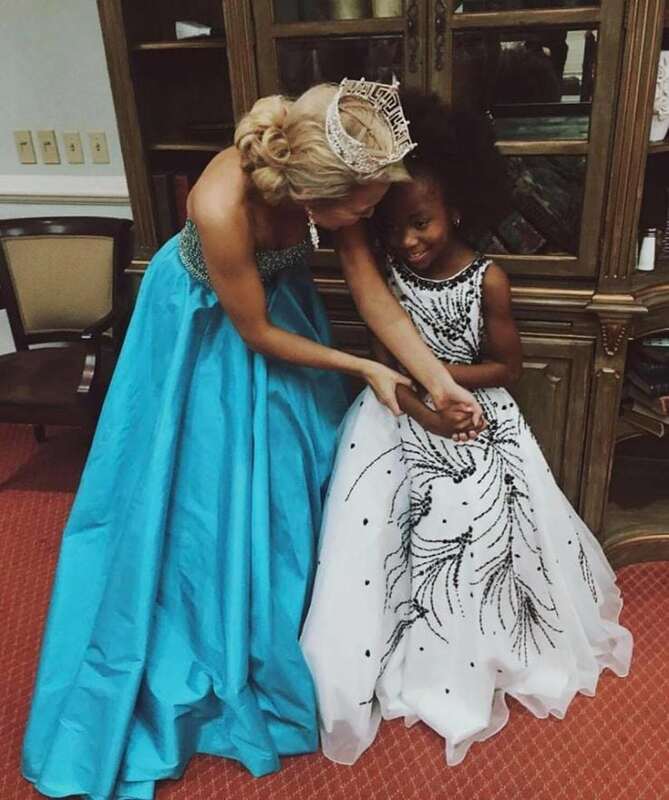 Buffie’s does it again with this perfect white Sherri Hill. Getting to see so many people from my hometown come out and support me was a feeling I will never forget. It was truly magical. Because this still makes me smile. 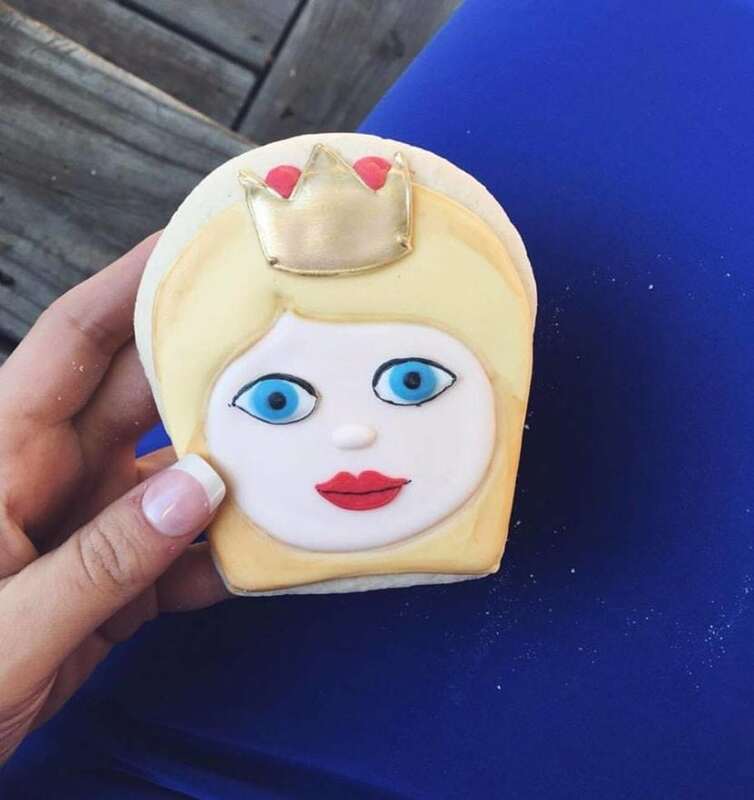 I’M A COOKIE! Thank you so much Holly Thomas (Doughmestic Housewife) for creating these amazing and delicious treats! The first night in Fayetteville we had an event at the Greek Theatre filled with performances, speeches from some of my favorite humans, and a meet and greet with my city. 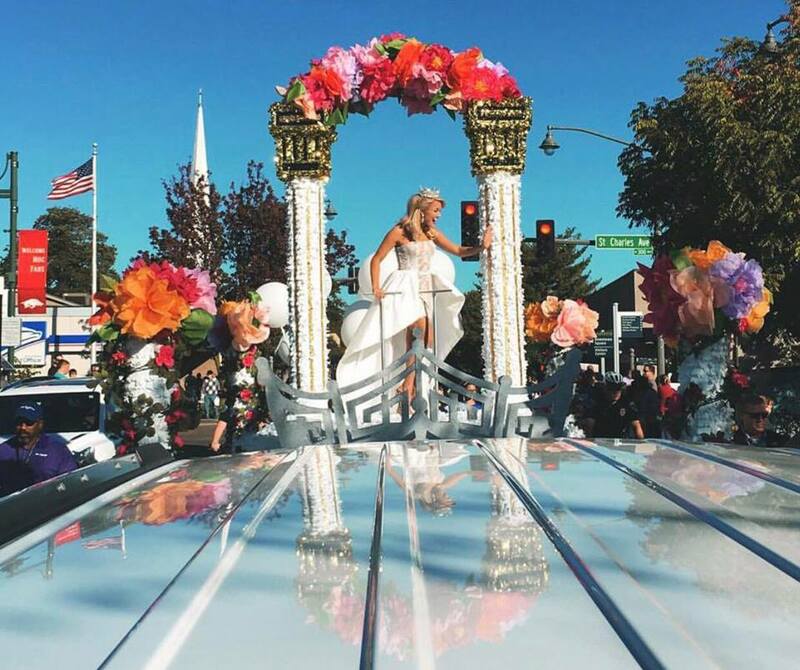 The deepest thank you to ZuZu’s Petals for building the most beautiful flower creations. I love you all so! Biggest thank you to Debbie Alsup for getting this SNAPCHAT FILTER!! How amazing. 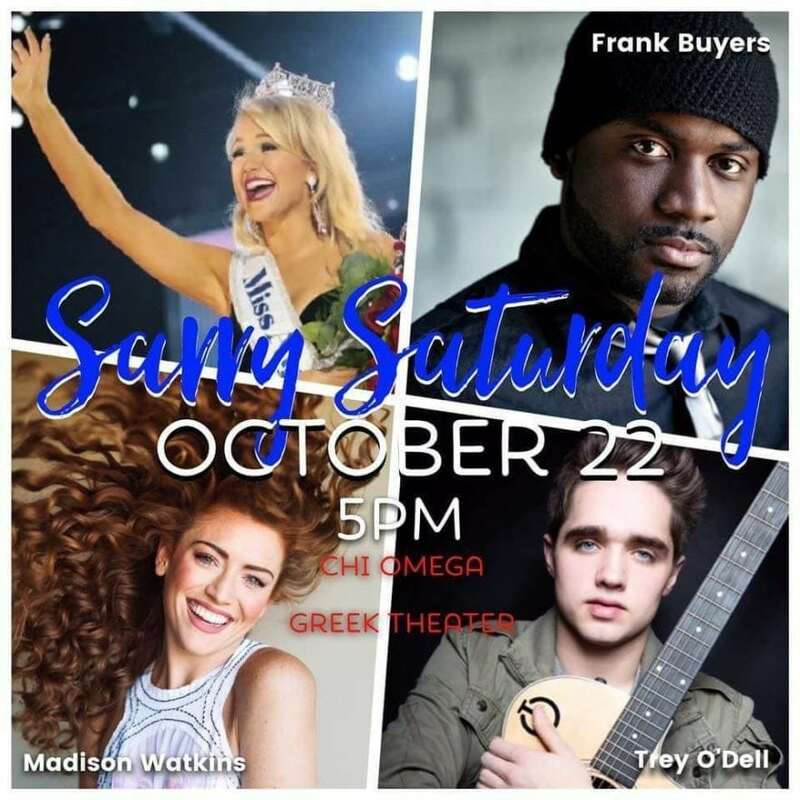 Such a big thank you to Frank Buyers, Trey O’Dell and my girl Madison Watkins for performing! Y’all need to go check out their music. 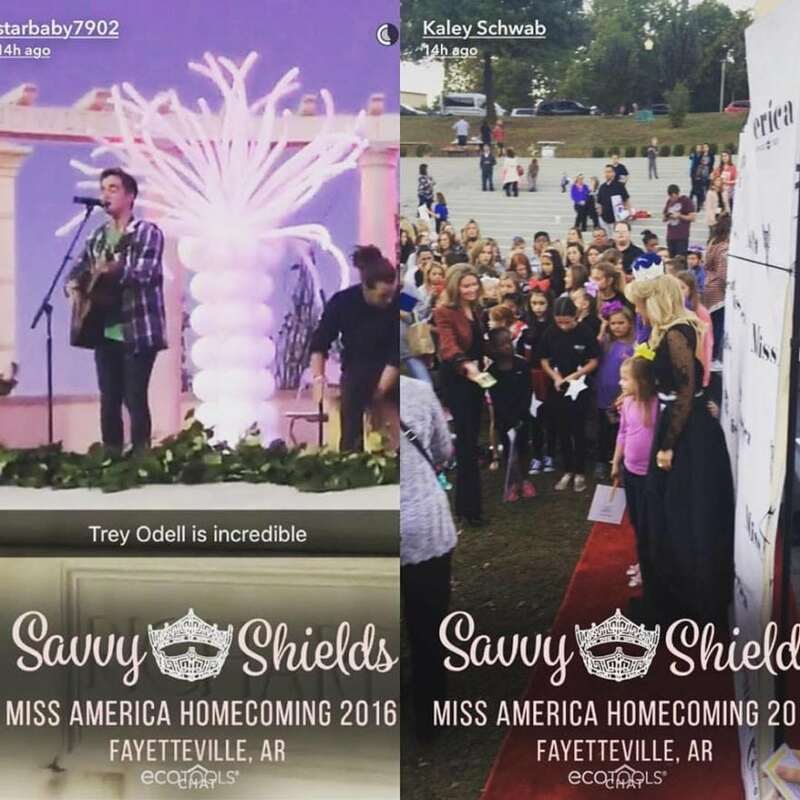 Another huge thank you has to go to Kristin Wood for capturing so many moments during my Fayetteville Homecoming. It all happened so fast and I treasure all of these photos so much. 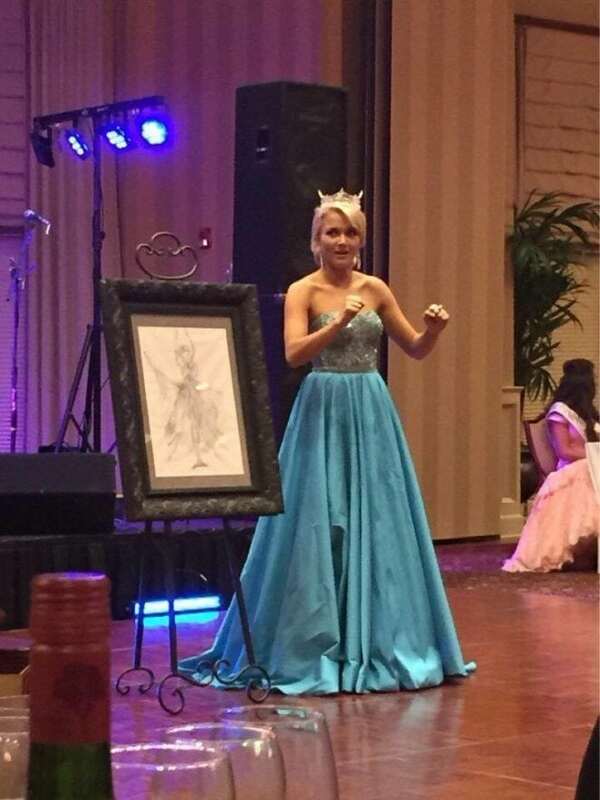 Thank you to the Balloon Closet for donating these amazing ballon creations and to Hendren Plastics for this fantastic crown! 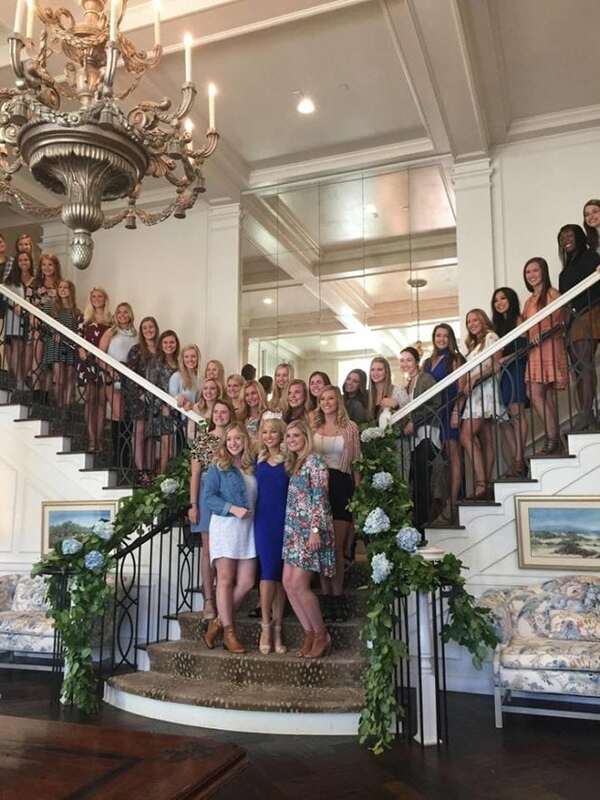 Spent the final morning of my Homecoming surrounded by my Kappa Kappa Gamma sisters in my home away from home. 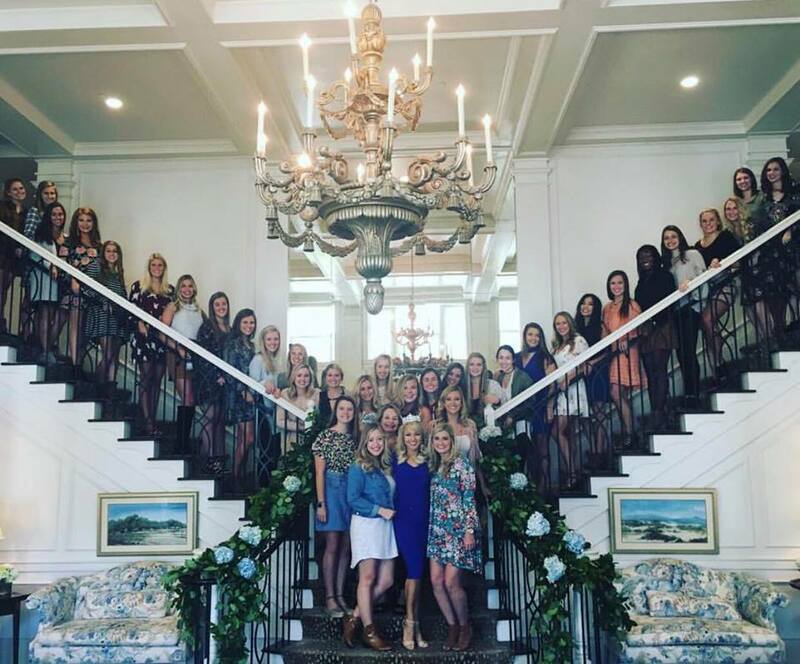 Thank you so much to everyone who came out to the Kappa Kappa Gamma house to see me. 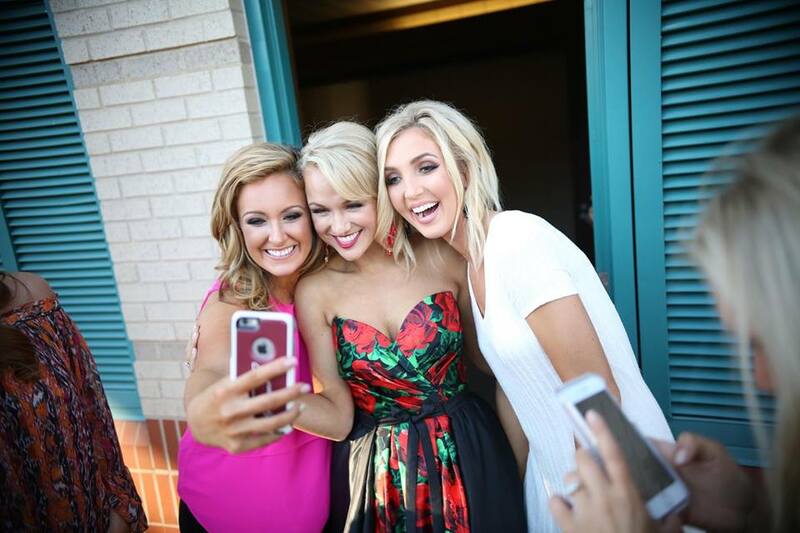 I can’t think of a better way to finish my Homecoming than with my sisters. The deepest thank you again to ZuZu’s Petals for these amazing arrangement in the Kappa house, so beautiful. 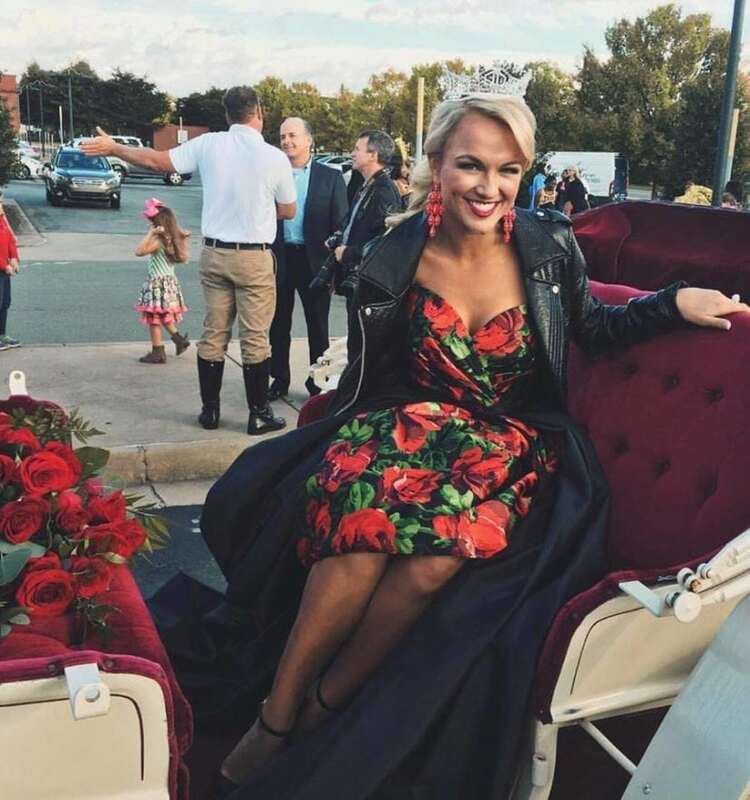 To this day I’m in awe of my Miss America Homecoming. I am amazed by the overwhelming number of volunteers, supporters, sponsors, vendors, leaders, and humans that came out to be a part of the most amazing weekend. 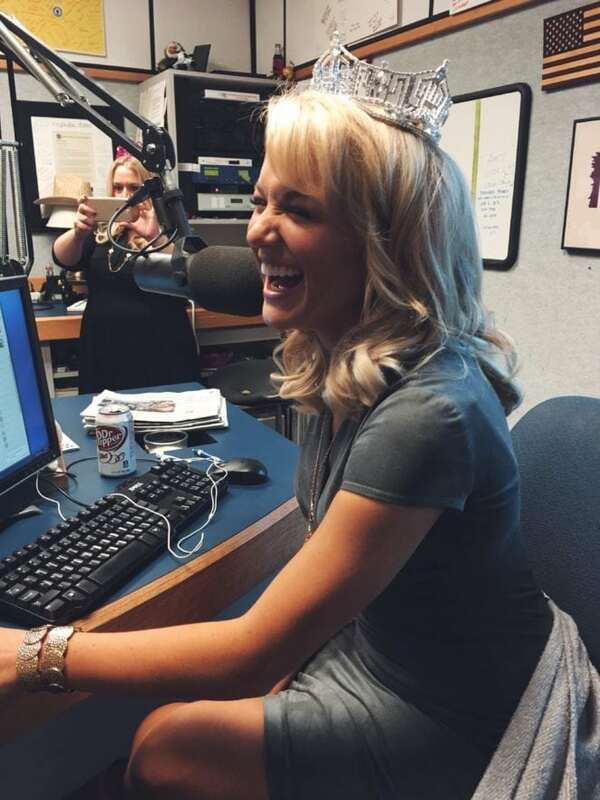 I look back at these pictures and am reminded of how there is no possible way I became Miss America, or did the job, alone. 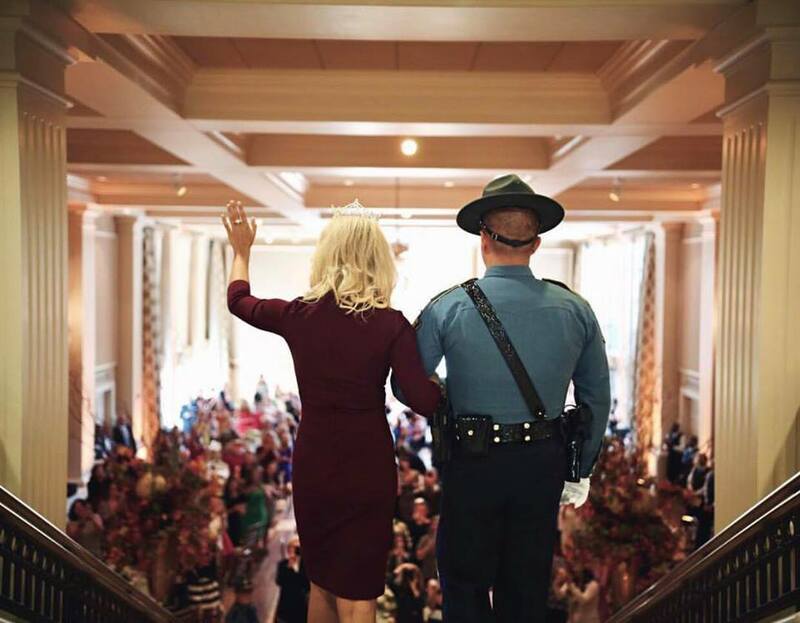 I was loved and held up by an entire country of people, and it all started with my home state of Arkansas. 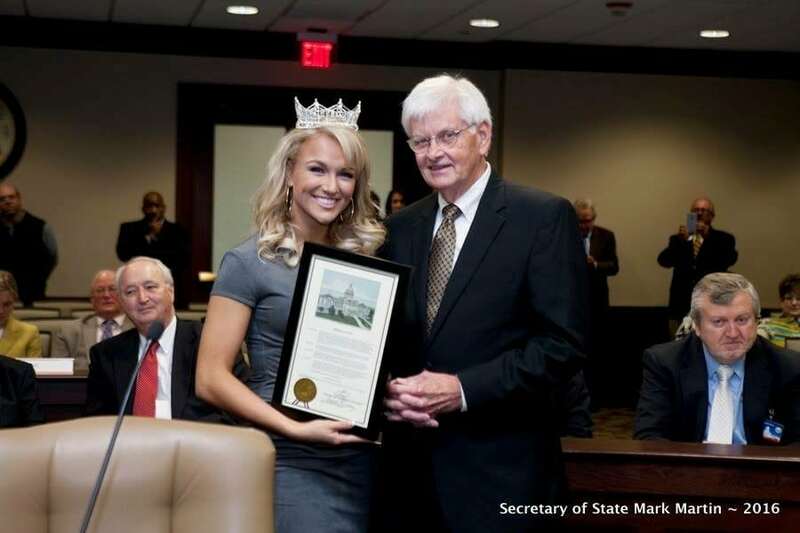 When I think about how this was one of my first weekends as Miss America, I am overcome with gratitude. It set the bar for the rest of my year, and I hope I gave as much love back as you all have given me. love it Savvy. Great job on this post. Keep them coming. Dan! Thank you so much! It was a Homecoming to remember. 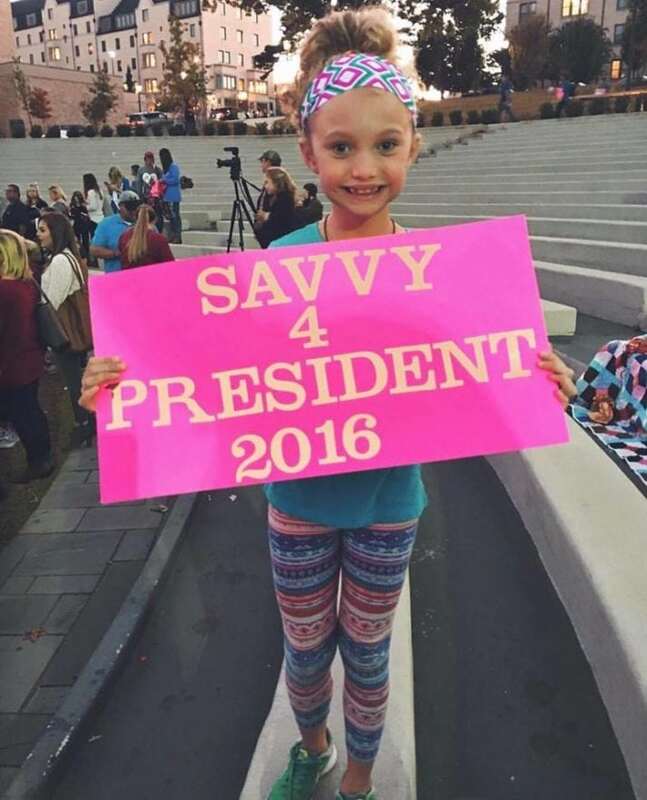 Savvy – you’re a priceless human being with not only a heart of kindness, but a humble spirit that is so genuine. What a blessing you have been to the MAO and continue to be on your journey in life. It is no wonder that you are so very loved! 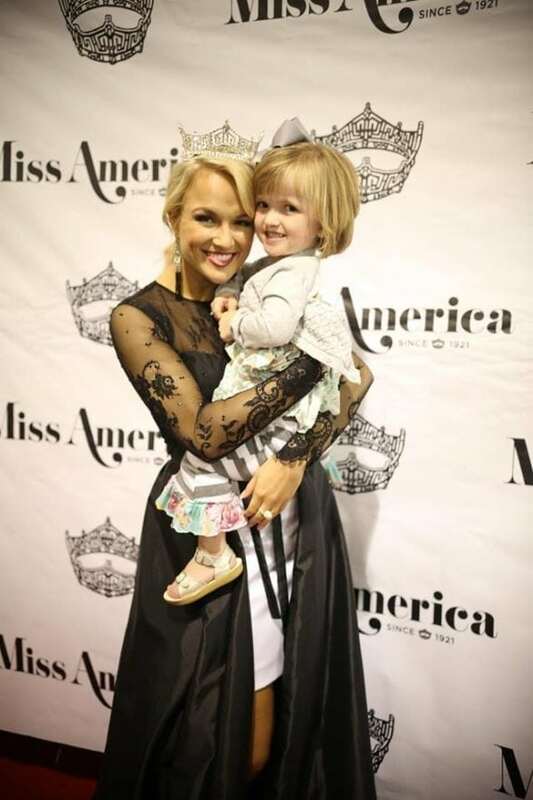 Savvy, I am a huge pageant fan, and I have followed Miss America since I was a child, and I want you to know, you have been my favorite Miss America ever! 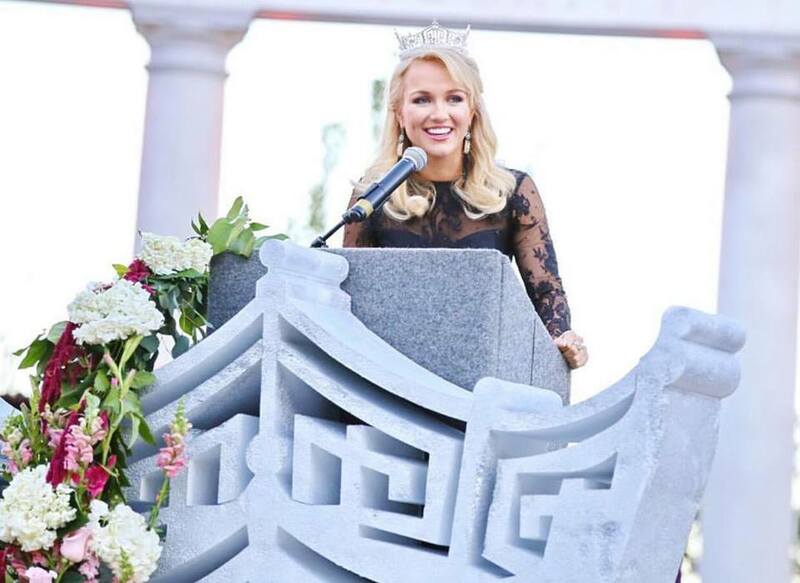 You seem genuinely kind, caring and compassionate, and are everything a Miss America should be! Congrats on a great year, and best wishes for the future. I know you have an amazing one ahead! 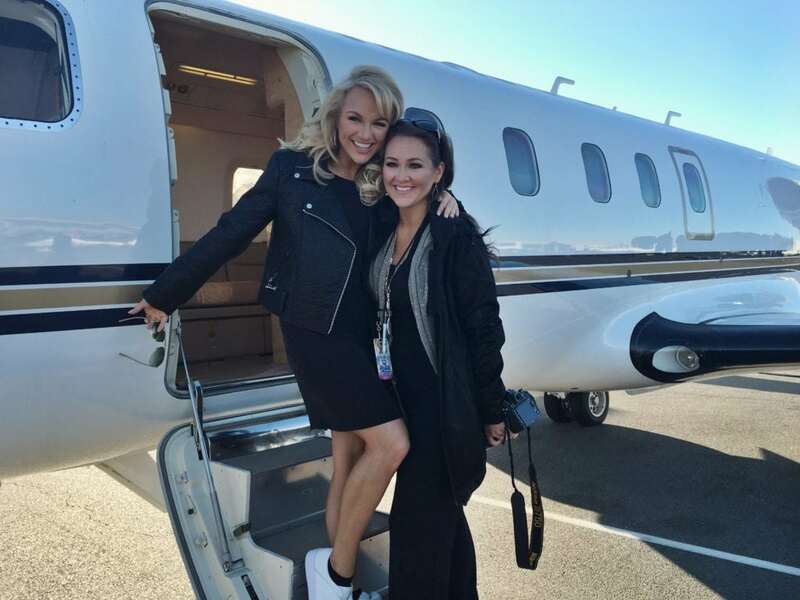 Holli, a hundred times thank you! Can not express how much this means. Thank you so much for the love and support. So much love. What an amazing post Savvy! You have been such an inspiration to me and to so many others! 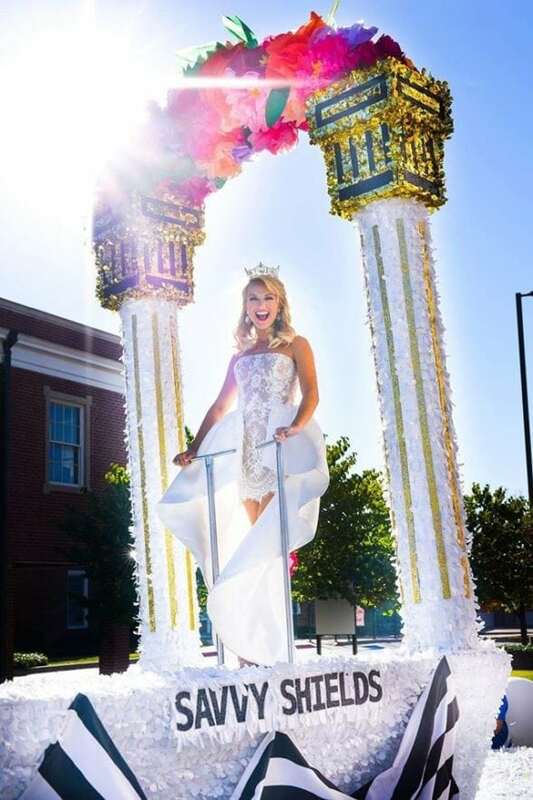 If I may ask: what would you say to someone beginning their journey of pageant competition, as the most critical link to succeeding? Livvy! No matter how cliche it sounds, the best piece of advice I heard was to not have to only goal of winning. But know that even if you don’t walk away with the crown, you will walk away with so many amazing things!